In Indonesia Independence Day commonly known as Sevententh of August is peoples holiday commemorating the adoption of Decralation of Independence on 17th August 1945. Indonesia Independence was proclaimed by Messrs. Sukarno, Hatta on behalf of the peoples of Indonesia, freedom from the colonialism. 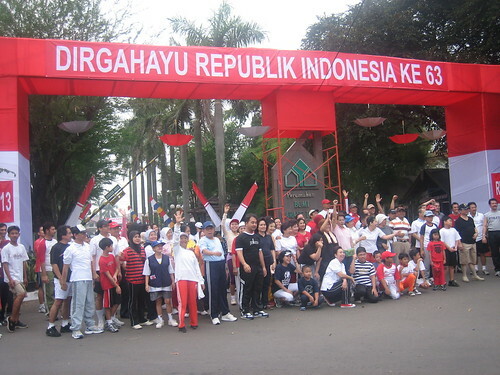 The Independence day usually marked by patriotic display, where the community erected a special patriotic gate in front of their residence complex. Every houses are erected full staff White and Red Indonesia official flag, and sing the Indonesia National Anthem Indonesia Raya (The Great Indonesia). Please find below the map of Indonesia.